Print 1 : Getting lost as a kid is all part of growing up. This print captures the thrill of it. Print 2 : This print features an isometric labyrinth, a maze with no ending, yet alluring and beautiful. 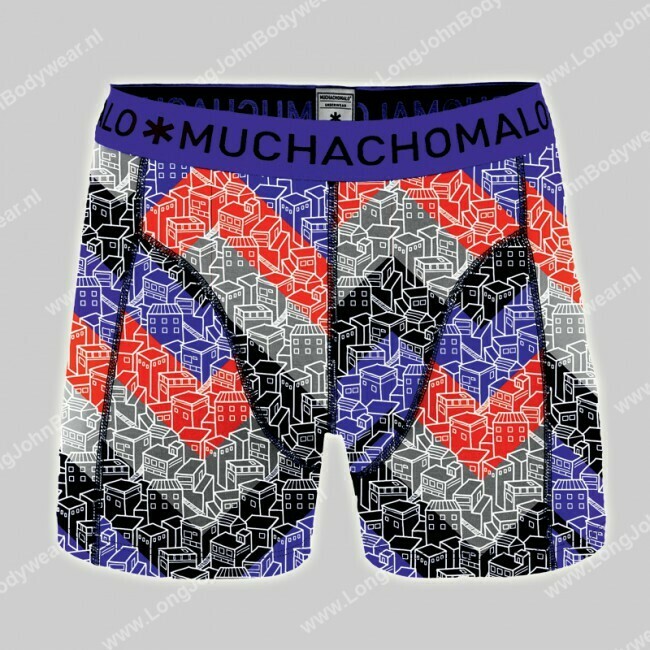 MuchachoMalo 2-Pack Short Getting Lost 95 % Katoen 5 % Elastan Sometimes getting lost can be a good thing. Discover new things and get your brain moving to find a way out Print 1 : Getting lost as a kid is all part of growing up. This print captures the thrill of it. Print 2 : This print features an isometric labyrinth, a maze with no ending, yet alluring and beautiful.